Main Intersection: Yonge St. and Gerrard St. W.
Area: approx 3,055 sq. ft. This luxury condo building is located at Yonge St and Gerrard St. It is steps to the Eaton Centre and Ryerson University, It took just over a month to sell this luxury Condo at 97 per cent of the asking price. This ultra high-rise building is located in Downtown Toronto, close to the famous Bay St business district. It is walking distance to many of Toronto’s top hospitals, close to the subway and many stores, restaurants and entertainment. Amenities in the building are a concierge, a games room, guest suites, a gym, a media room and a party/meeting room. Description: foyer with marble floor and double closet; living room with large window and hardwood floor; dining room with crown moulding and hardwood floor; kitchen with centre island, granite counters and stainless steel appliances; master bedroom with large window, walk-in closet, sitting room and six-piece ensuite with marble floor; second bedroom with hardwood floor, sitting room and four-piece ensuite with quartz counters and marble floor; den with pocket doors, fireplace and hardwood floor; laundry room with ceramic tile floor; powder room with marble floor and stone counter. 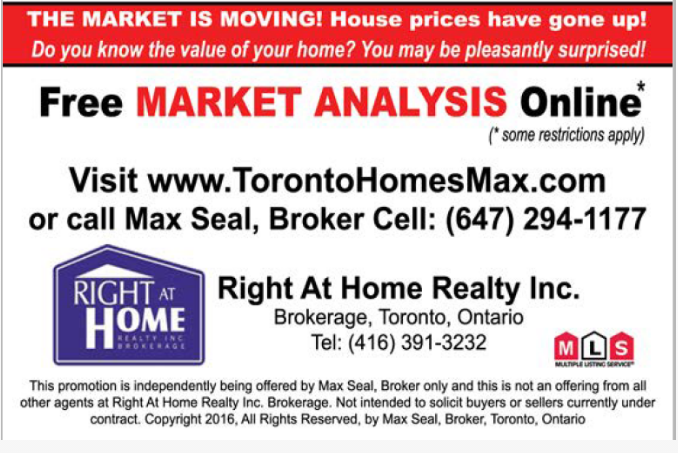 Are you thinking to sell your Condo in Bay St, Toronto area? Are you thinking to buy your dream Condo in Bay St, Toronto area?